People all over the world dream about moving to New Zealand. This is because the country is well-known for its beautiful landscape and high quality of life. Canadian immigrants should research what life is like for newcomers to New Zealand before they make their move. For its land size, NZ has a relatively low population. The majority of the population live in three major cities. These cities are Auckland, Wellington and Christchurch. Most migrants opt to move to Auckland as it has better weather, diversity and more job opportunities. It is worth noting that Auckland has a much higher cost of living than other NZ cities. However, Aucklanders are paid much more than other New Zealanders. Although small towns are beautiful, work in these areas is scarce. Migrants should not consider moving to the countryside unless they are interested in farming or working in an unskilled job. Parents may be wondering whether or not their child will have a good education in NZ. The short answer to this question is yes. While some schools are better than others, NZ schools are well-respected. In fact, most children wind up attending Auckland University. This university is considered to be one of the best in the world. Permanent residents can send their children to public school for free. Listed below are some pieces of information that Canadians should know before they move to NZ. The job market is relatively secure. Unlike the US, NZ remained relatively strong during the economic recession. In many places, strong communication skills and initiative are valued more than college degrees. One does not need to have a degree to be successful in New Zealand. Many Canadians say that NZ is very similar to Canada in terms of landscape. The majority of immigrants come from Asia, the Pacific Islands, Australia and Britain. It may take some time to find other Canadian friends. As New Zealand is a fairly isolated island, shopping can be expensive. Studies have shown that many New Zealanders prefer to shop online as the US has cheaper prices. Lastly, all immigrants will need to get the appropriate visa. 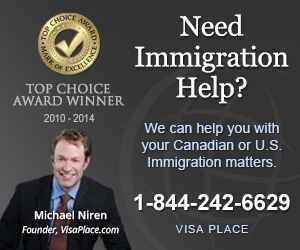 Currently, Canadians can enter the country for tourism purposes without a visa. Anyone who wants to immigrate or work in NZ will have to successfully apply for a work or student visa. Applicants with a kiwi partner can apply for a partnership visa. There are many reasons why a person would want to relocate to New Zealand. The country is beautiful, safe and has very friendly people. Most Canadians will be extremely happy once they settle into their new life in NZ.